Who We Are – Kaeb Sales Inc.
Kaeb Sales, Inc. has been in business for over 25 years. 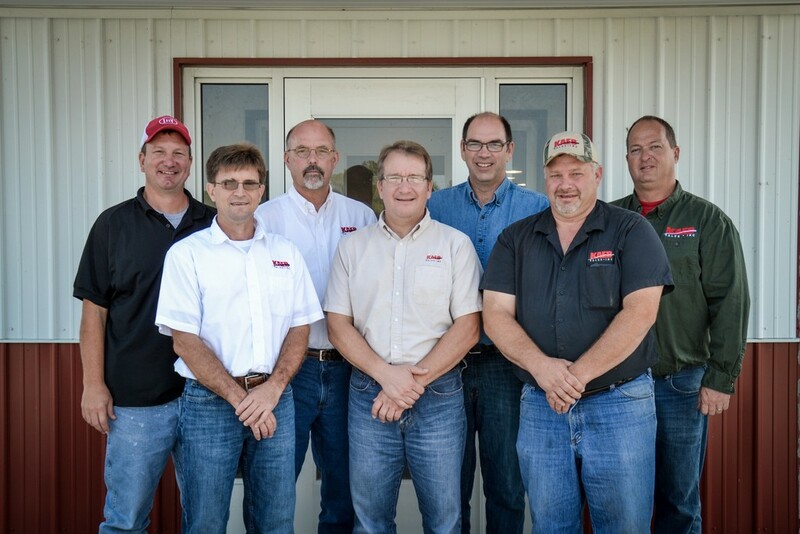 Les Kaeb started the business in January 1989 as a Surge dairy equipment sales and service dealer. Kaeb sales has grown into an industry leader in design, build and service of all sizes of dairy facilities. There are 30+ employees in the company’s three state region. Facilities and offices are located in Illinois, Indiana and Michigan. In 2009 the Lely Robotic Milking system was added. Kaeb Sales not only developed expertise in milking cows with robots, but also in designing efficient and effective layouts. Kaeb Sales has installed equipment on swine, beef, poultry and dairy facilities both for the small family farm and the large commercial farm. We carry a complete line of dairy milking and milk cooling equipment. We have installed milking facilities ranging in sizes from single stall robots to up to 80 stall rotary parlors and double 50 stall straight line parlors. Kaeb Sales understands the process of handling manure waste. We have helped design manure transfer stations, sand settling lanes, manure separation, sizing of manure storage and manure application to farm ground. Kaeb Sales also has worked with 10 different bio-energy manure digester systems with four (4) different designs. We provided all or part of the equipment to evacuate the manure from the barn, homogenize and pump it into the digester, remove it from the digester and process it for either land application or storage. Kaeb Sales is committed to innovation and providing safe and reliable products in the production of agriculture. We would like to assist you with your livestock feed, milking or manure needs.